Popping in with a card I made today for a few challenges. The stamps and dies are all from the 'Shine Brighter' collection from Concord and 9th. I used the sketch at Where Creativity Meets C9. I got the colour scheme from the photo at Merry Monday-the off white card is meant to show the cream of the foam. I particularly used this card as it has a creamy like texture but unfortunately you can't see this in the photo. This is a super sweet card. 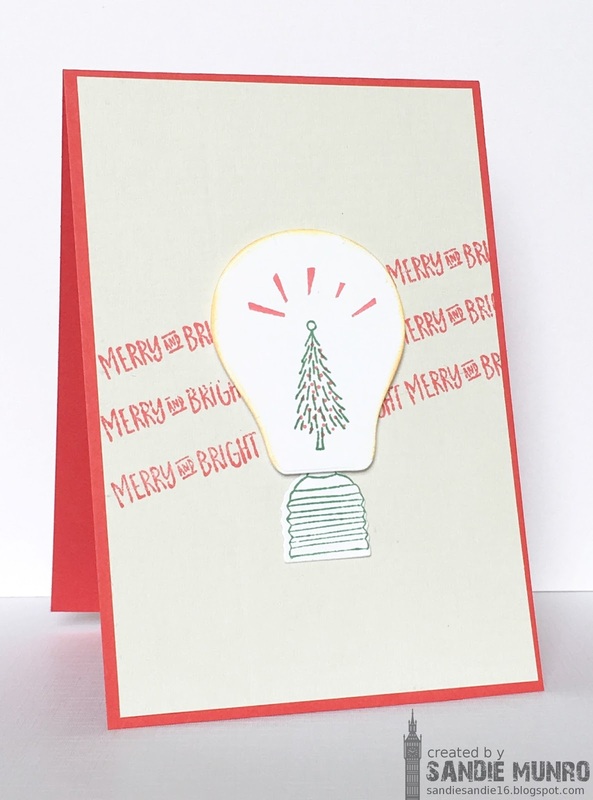 Love the light bulb with the merry and bright sentiment radiating from it. Very pun-iliscious. 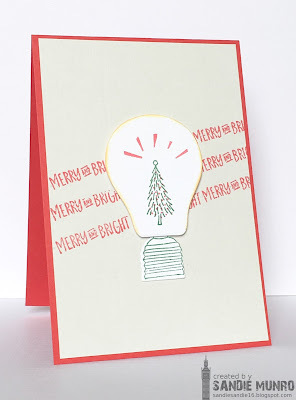 I love the contemporary feel to this gorgeous card Sandy - such a clean design. So cute! What a great way to use that set! Love it! Thanks so much for stopping by my place! So clever! Thanks so much for joining us over at Where Creativity Meets C9! GREAT idea, so much fun on this card. I adore the tree in the light bulb/terrarium. :) Thanks for joining us at Where Creativity Meets C9!